Posted on: May 29th, 2018	by Jennifer A. “Vacation – all I ever wanted! Vacation – had to get away!” Who didn’t grow up singing that song by the Go-Go’s? It’s THAT time of year. Every day my kids come home from school and remind me how many school days they have left. I admit I get half-excited and half-terrified. Excited to not have any more days of homework but terrified at the thought of how to fill so many days off from school with fun activities. Do you feel the same? We are so lucky to live in New Jersey where the activities, day-trip destinations, and yes, even vacations are plentiful. Whether you want to explore a new museum, splash around at the waterpark, or beat the heat with a free summer movie, our list of things to do in New Jersey with Kids this summer will help you make your summer vacation all YOU ever wanted. With that in mind that we pulled together all the things there are to do in New Jersey this summer. From community events to free activities, from summer day trips to vacation destinations we hope you’ll find this a valuable tool in planning your 100 Days of Summer Fun. 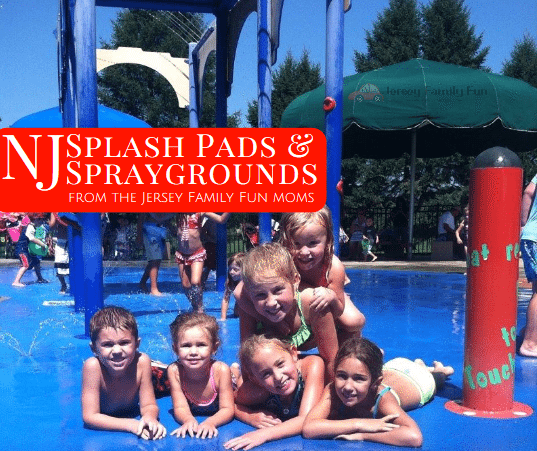 Meet the Jersey Family Fun team while exploring a new park at one of our Playdates in the Park. Registration is now open. 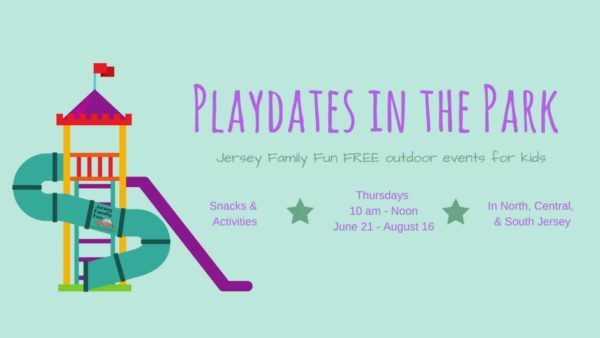 Get the details and schedule in our Jersey Family Fun Playdates in the Park blog post. Plan a beach day, or two or three! It wouldn’t be summer without some trips to the beach. Whether you go for a day or have a beach you check out all season long get all the information on beach tag prices, parking, and more in our New Jersey Beaches and Beach Tag Information. Collect sunflowers at one of New Jersey’s sunflower farms. Take a look at these 11 New Jersey Sunflower Farms. Head to the Atlantic City beaches for one of NJ’s greatest airshows, Thunder Over the Boardwalk, Atlantic City Airshow on August 22, 2018. Click over for tips for attending the Atlantic City Air Show. Challenge yourself to try an epic rollercoaster at one of these New Jersey Amusement Parks. Grab a kid and a tube and take on a twisty turny water slide at one of these water parks in New Jersey. Ooh and aah over fireworks. July 4th isn’t the only day to see fireworks in New Jersey this summer. Check out our calendar of New Jersey Events with Fireworks and see fireworks for free throughout the summer. Let the kids in get on the karaoke action with Kids Karaoke Nights in Wildwood. See our Kids Karaoke Night in Wildwood event listing for more details. Enjoy some theatre in the park. Whether it’s Shakespeare or a children’s play watching a story played out while having a picnic is a great thing to do in New Jersey this summer. Find out more in these event listings. Come together to make our community better at this year’s National Night Out on August 7. We’ll be updating our list of New Jersey National Night Out events as they become available. Since the weather is nicer, why not take your kids to a New Jersey airport where they can watch planes take off. Here’s our recommendations for the best places to watch airplanes in New Jersey. 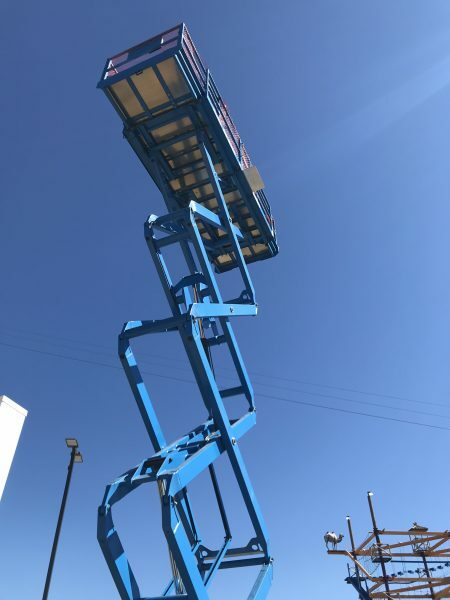 Go to new heights with Diggerland’s new ride, Elevation Station. Diggerland is the ONLY construction theme park in the United States. Learn more about the rides at Diggerland in this article, 5 New Rides at Diggerland USA. Diggerland’s Elevation Station rises up 60 feet into the air. Watch a movie at the castle, Kip’s Castle. Learn more in this event listing, Free Friday Flicks at Kip’s Castle. Get ballroom dancing lessons with the kids. We’ve got details and schedule in this Cape May Ballroom Dancing for Family Nights event listing. This June, let the kids try their hand at catching a fish in the Bass Pro Shops catch and release pond in Atlantic City. Get the schedule and more details in the Gone Fishing – Bass Pro Shop event listings. 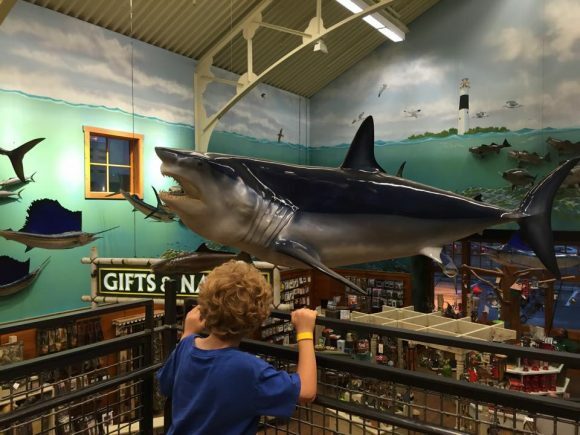 You probably won’t catch a shark at Bass Pro Shops in Atlantic City but it doesn’t mean you can’t stare one down. Grab the kids and head over to the Jersey Shore for one of these Seaside Park Drive-In Family Movies. Penn Museum June 2018 is sold out. The Franklin Institute and Academy of Natural Sciences do not have any scheduled for this summer, yet. 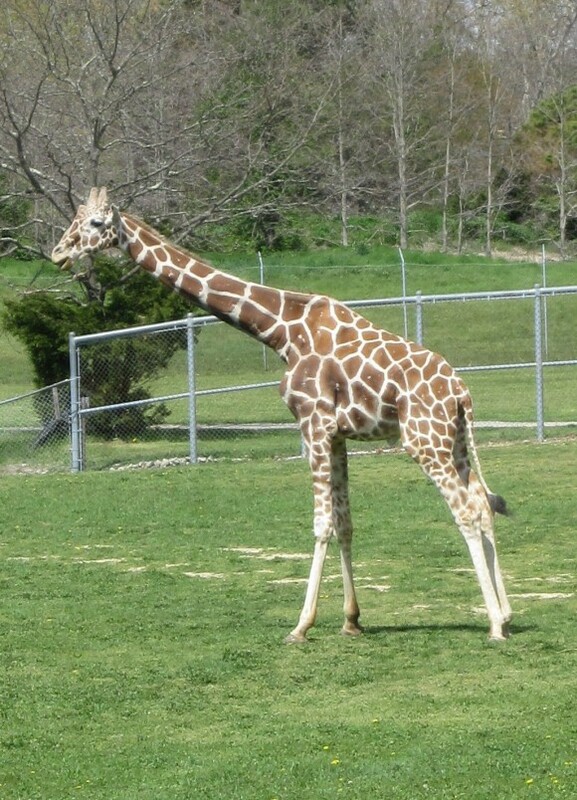 Join the Cape May Zoo for World Giraffe Day in June. Get the details in this New Jersey event listing. Wear your bathing suit and get hosed down by the Lebanon Township Volunteer Fire Department! Click over to find out more about the 4th Annual Hosedown in Lebanon Township. 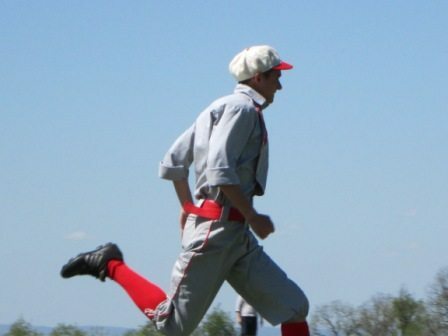 Watch a vintage baseball game at the 1846 Hoboken Baseball Game Re-enactment this June. Watch a vintage baseball game with the kids. Build a super sandcastle for the 32nd Annual New Jersey Sandcastle Contest in Belmar this July. Get the details and learn about the prizes in this New Jersey event listing, NJ Sandcastle Contest. Let’s start this list of free things to do with kids in New Jersey this summer with activities you can do nearly every day this summer. Go back in time with one of these historical attractions in New Jersey that offer free admission every day. Climb a lighthouse at one of these New Jersey lighthouses with free admission. Attend school in the summer with one of these museums that pay tribute to teachers and schools of the past. Learn about a different career at one of these unique free museums in New Jersey. Discover what makes some towns unique with these free museums that showcase the history of different New Jersey towns. Appreciate the arts at New Jersey’s art museums with free admission. Noyes Museum of Art – 4 locations in Southern New Jersey 609-347-5839. Read our Noyes Museum of Art museum review in Noyes Museum of Art – Explore Art with Your Kids. Plan a picnic and playtime at one of New Jersey’s playgrounds. Find a new park to explore in our listing of New Jersey Parks & Playgrounds. Volunteer to make a difference. The Bergen County Volunteer Center shared some great ways kids can volunteer in this article, 5 Easy Volunteer Ideas for Kids & Families that Make a Difference. Crack open a book. Earn a reward. We share the details on summer reading programs where kids can earn free rewards in this article, Summer Reading Programs with Great Rewards for Kids! Visit a New Jersey library to learn about their reward rewards. Read the details in this blog post, New Jersey Libraries Summer Reading Programs for Kids. Check this post, Your NJ Library Card Can Mean FREE Admission to Local Museums, for more ideas on how you can visit museums and attractions across our area for free. Many libraries participate in Museum Pass programs where belonging to your library means more than free visits to the library. These are free activities for kids in New Jersey that happen once or twice a week. Watch a movie for free! While Regals Movies are $1 each twice a week (2019 information will be released soon! ), there are several places throughout New Jersey that offer free movies every week. Visit our blog post of New Jersey Free Movies for Families for a detailed breakdown by region, county, and town. Rock out to a great concert. As parks & recreation departments, beaches, and other communities start planning out their summer activities many will host free summer concerts in New Jersey. Click over to see our calendar of New Jersey Free Summer Concerts. Discover a new book with Barnes & Noble. Most stores offer free storytimes weekly. You can find them on our full Calendar of Events. Walk the Jenkinson’s Boardwalk where your family can enjoy multiple free events happening every week. Check out our calendar of Jenkinson’s Free Summer Events for Kids. Visit any of these New Jersey Kids Eat Free Restaurants that offer free kids meals at least once a week. Explore a museum that offers free admission on select days such as one of these. Morris Museum has pay what you wish admission on the second and third Thursday of every month, 4 PM – 8 PM. We’re waiting for news on a 2018 update. Celebrate your kids’ love for all things Disney with free Disney store events. Click over to our article, Disney Store Summer Play Days, Free Disney Summer Fun for the schedule of Disney store events and this year’s rewards for attending. These are free activities for kids in New Jersey that happen once a month. Swing some hammers. Bang some nails. The first Saturday of the month, Home Depot offers a FREE Kids Workshop from 9 am to 12 noon. Get more details in this article, Upcoming Home Depot Kids Workshops. Pull out that Bank of America card and enjoy free admission at many local museums the first weekend of every month. Find out which museums participate in this article, Bank of America Free Admission Weekends. While our Calendar of Events is packed with free events happening every day in New Jersey, here are a few of our favorites. Catch something good during the Free Fishing Day in New Jersey on Saturday, June 9, 2018. See this article, New Jersey Free Fishing Days for more details. Climb a New Jersey lighthouse on August 7, 2018, the National Lighthouse Day. Get more details in this article soon to be updated for 2018, New Jersey National Lighthouse Day Events. Find great family fun at a New Jersey Festival this summer. Many have free admission and we’ve listed as many as we could find in this calendar and article, New Jersey Fairs and Festivals. We’ll keep it updated all summer long. Explore a National Park for free on August 25, 2018 (still waiting on confirmation), the National Park Service’s Birthday. We’ve got the details in this article, New Jersey National Park Service Free Admission Days. Explore a culture different than your own at one of these cultural museums in New Jersey with free admission. African American Heritage Museum -, 661 Jackson Rd, Newtonville, 609-704-5495. Read our African American Heritage Museum of Southern New Jersey museum review in this article, Eye Opening Exhibits at the African American Heritage Museum of Southern New Jersey. Take off on your own safari at one of New Jersey’s zoos that offer free admission. The Cape May County Zoo and the Cohanzick Zoo both have free admission every day. Plan for an expedition through New Jersey at one of these nature centers with free admission. Build an incredible sand castle at one of these two New Jersey beaches where beach tags are not required. Atlantic City beaches and Wildwood beaches are free to all. Choo choo on over to one of these free museums to learn more about trains, railroads, and their role in our communities. Walk among the roses to smell beautiful new flowers at these New Jersey gardens with free admission. 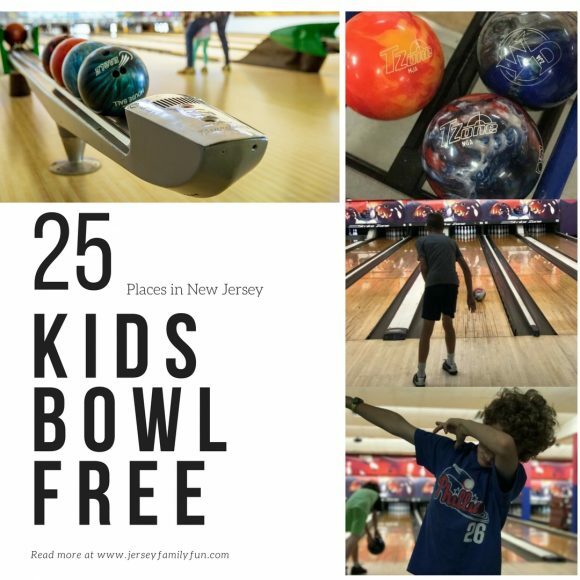 These things to do in New Jersey might not be free, but we felt these cheap New Jersey activities should definitely be included in your summer plans for family fun in New Jersey. Michael’s Kids Club is back with their Camp Creativity. For about $2-$5 a day, kids can create all kinds of make and take projects. Learn more our event listings, Michael’s Summer Camp – Camp Creativity is back! A.C. Moore Summer Fun Wednesdays are back. Each Wednesday kids can create a project for $2 each. Get the schedule of projects in this article, A.C. Moore Summer Fun Wednesdays – Kids Crafternoon Wednesdays. Get skating. With the Kids Skate Free program kids can skate for free once or twice a week with a one time adminstrative fee. Learn more in our 4 Rinks Kids Can Roller Skate For Free in New Jersey article. Barnegat Lighthouse is almost free to climb. Children are $1 per person and those 12 and older are $3 per person. Learn more from our experience in this article, Barnegat Lighthouse – Field Trip Friday. 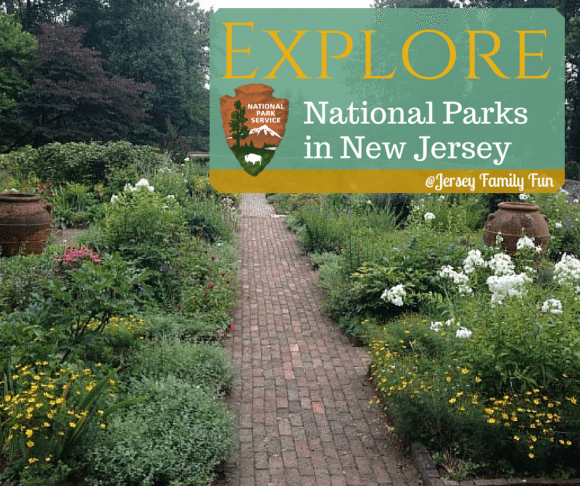 Earn Junior Ranger Badges at any of New Jersey’s 6 National Parks. Learn about where New Jersey’s National Parks are in this article, Explore National Parks in New Jersey. Read about the experiences we’ve had earning Junior Ranger badges with this link. Participation is free, but some National Parks may have an admission fee. Consider taking a trip across the bridge to Philadelphia or New York City for one of these free things to do with kids. Remember, kids ride free on New Jersey Transit on weekends and holidays even if those trains and buses go to Philadelphia or New York. There are 4 days this summer where Please Touch Museum offers admission for $2. Get the details in this article, Please Touch Museum Discount Admission Tickets Days. Franklin Institute offers free admission on 3 different days this summer. Find out more in this article, FREE Admission Days At the Franklin Institute. Check out the Philadelphia Art Museum during one of the many days where you can pay what you wish. We’ve got the schedule in this article, The Philadelphia Museum of Modern Art Pay What You Wish Days. Celebrate the birth of our country where it all started, in Philadelphia with the Wawa Welcome America events. 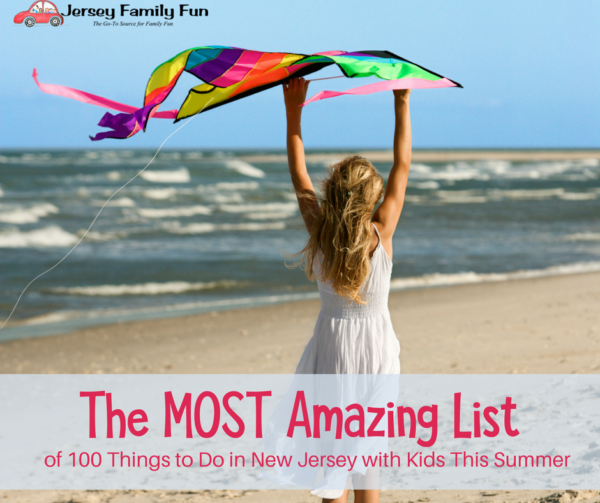 With so much to choose from, which of these things to do in New Jersey with kids this summer will you pick first? 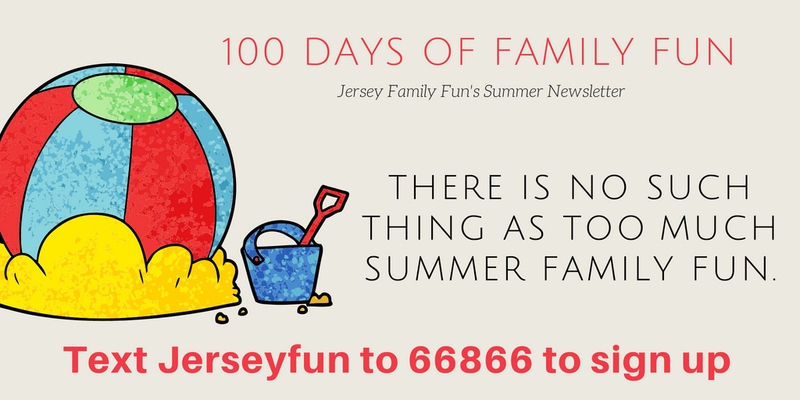 Don’t forget to sign up for our 100 Days of Summer Family Fun newsletter. 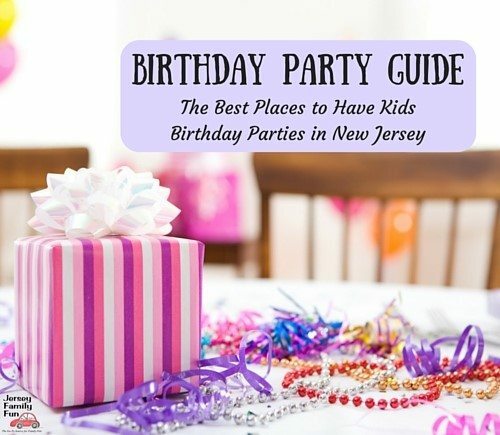 Every day you’ll get an email with New Jersey events for kids happening the following day. The Montclair Art Museum’s Free First Thursday Night take a summer break and will return October 5.